Everyday Gyaan What Would You Do If You Weren't Afraid? You are here: Home / Life and Inspiration / What Would You Do If You Weren’t Afraid? Do your fears hold you back from being all you can be? I invite you to think about this and share your thoughts by writing a post on your blog and adding the link to the linky at the bottom of this post. If you don’t have a blog, do share your thoughts in the comments. I answered that question some years back in a post, telling you what I would do if I were brave. Another fear I had was of saying ‘no’ to people. I was afraid to be unpopular. Not any more, I’ve taken a stand against people even when it led to my being treated like a leper by some. I knew I had done the right thing and I was not afraid. One of my greatest fears was to look deeply into some of my relationships. I feared I would realize the truth of how I had been misunderstood and used. I decided to look the other way or pretend that it was not so. Yes, like that missionary, I tried to ‘go upstream’ and pretend that I didn’t need to deal with the issues from my past that were affecting my present behaviour and choices. But realizing that only the truth could set me free, I decided to be brave. Allowing myself to be honest, acknowledging my past, I was able to forgive and move forward. This is a continuous process, because our fears don’t disappear overnight, but we have to be brave enough to acknowledge them and move beyond them. That’s my story. What’s yours? Do share by commenting, writing on your blog and adding your linky here. Add this button to your post. Thanks! This is a very good topic to reflect upon. Hope to take it up in the next few days! The me-phobia quote is a great one! I am inspired reading about your journey of conquering your fears. Thanks for sharing. You are a brave soul, Corinne and I dunno how/why we stopped our interaction, but I still admire ya! 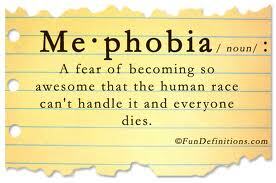 Me-Phobia!! This will need some introspection! Reading your post makes me feel it is not that difficult to sat Yes to Life and No to your Fears! Thanks for a wonderful prompt! Facing our fears and overcoming them is tantamount to our spiritual growth. Beautifully expressed here, Corinne! 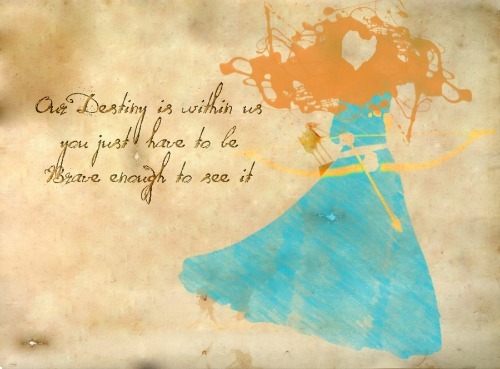 You make me want to sing this song to you – Brave by Sara Bareilles (which I can’t link or I get a too many links error). Lovely to read this, Corinne. It’s so true- “only the truth could set me free”.